Whether you choose a dwarf Japanese Maple or opt for a slow-growing 15 to 30-foot variety, you’ll never regret the investment in your landscape! Choose from yellow-green, purple, red, bronze, or variegated leaves. Because Japanese Maples are somewhat sensitive to extreme heat, planting in the summertime here in the Northeast is not the best idea. Choose a spot that gets partial shade or dappled sunlight for best results. Don’t have a shady spot? That’s okay but be aware that strong all-day sun can damage the tree’s delicate leaves in some cases. Some people opt to plant their sapling in a container and move it around the yard to see where it seems happiest. That’s okay too, since Japanese Maples are fairly tolerant of replanting. Even more important than light exposure is the issue of water. Be sure that the area you choose to plant your Japanese Maple has good drainage. Standing water or poor drainage are the tree’s biggest enemy! 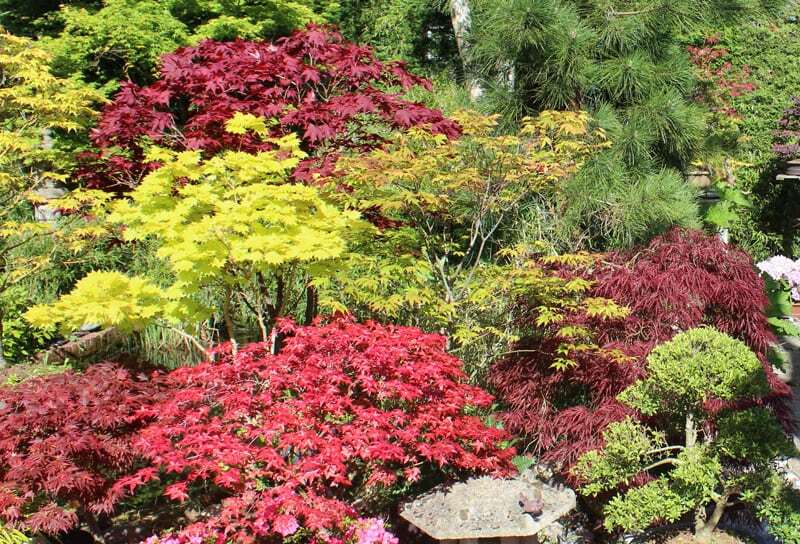 As mentioned, you can choose among many varieties of Japanese Maples, from dwarfs that are shorter than a vertically-held yardstick to a 30-foot giant. The shorter varieties tend to be the most popular, though. Most have a distinctive habit of spreading in the shape of low graceful domes, their branches arching like ballerinas. Many — like the chartreuse-leafed Full Moon — display vivid fall color, making the already distinctive tree stand out even more. 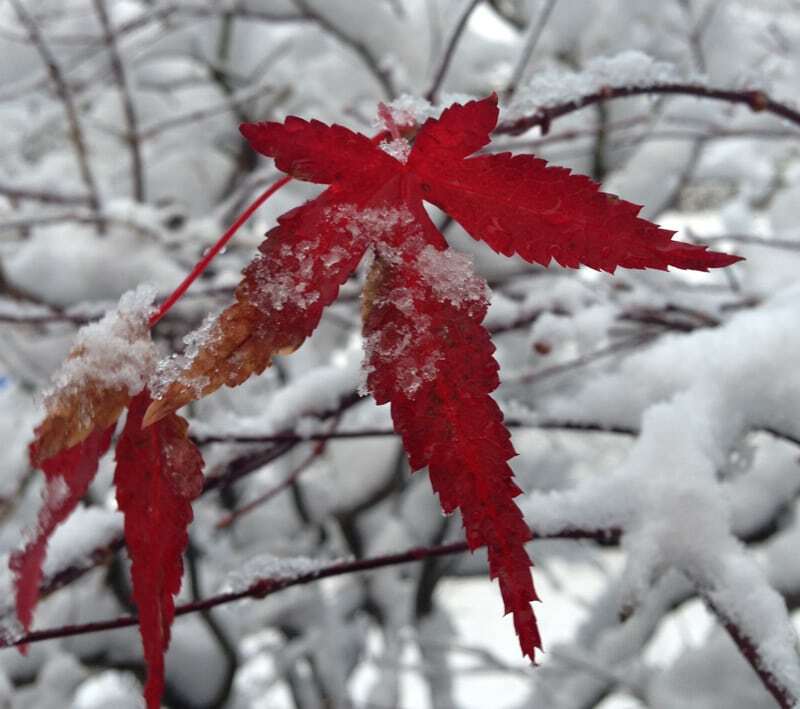 The sculptural branches are also quite striking in the winter landscape, making the Japanese Maple an important player in your home’s yard on a year-round basis. When it comes to caring for your Japanese Maple, it’s often best to take a minimalist’s approach. (You know … “Less is more”) For the first two to three years, you’ll want to water sparingly. Once the tree matures, watering should seldom be needed — unless of course, we enter a period of drought combined with heat. Spread a layer of mulch around the base of the tree. This will help regulate root temperature as well as help keep weeds at bay. Fertilize lightly in the spring, and prune only to remove dead limbs. 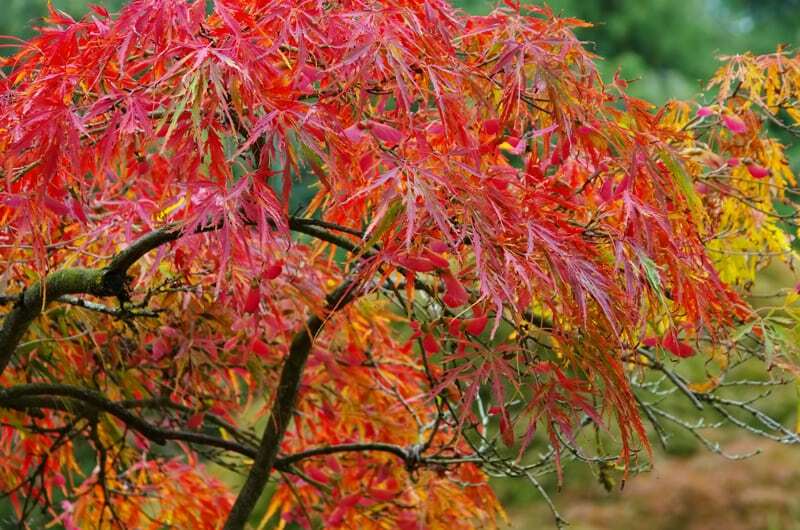 Once your Japanese Maple becomes an established part of your landscape, just sit back and enjoy its exceptional beauty! 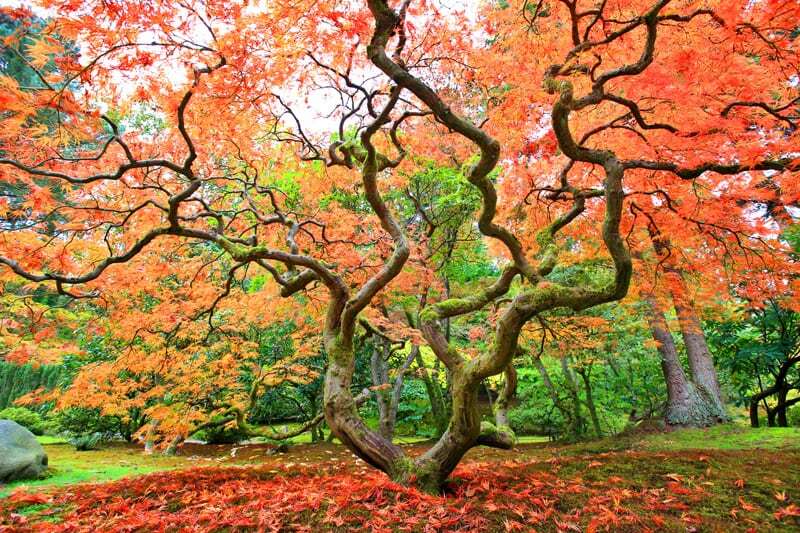 For more information about how to choose, plant, or maintain your Japanese Maple tree, contact us today!